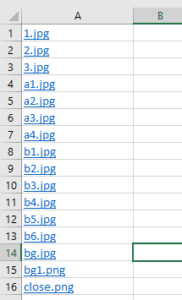 In this article we will show you how to display file name as a hyperlink to a file in Excel. 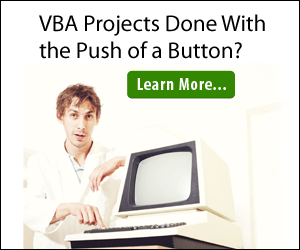 We first introduced this concept in this article but will expand upon it here. For this we will use the Hyperlinks.Add Method. Let’s have a look at the syntax first. So, let us look at an example on how to implement this. 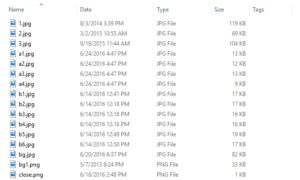 Say, you want to create one hyperlink each for all the files in a folder. First, we will need to create a FileSystemObject and then get the folder object for the folder whose files we need to list. 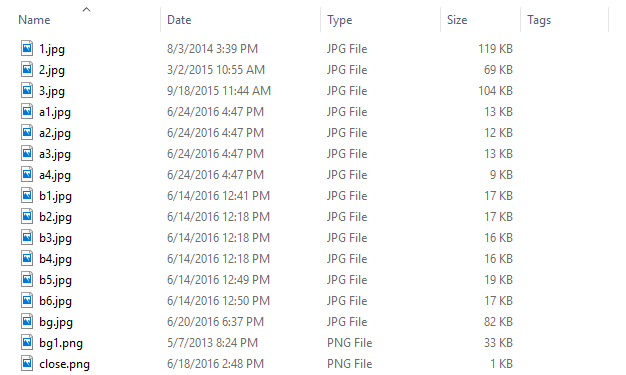 Then we loop through each of the files in the folder and assign a hyperlink to it. Clicking on the hyperlink will open the file. Let us look at a couple of other examples of how to add other types of hyperlinks. 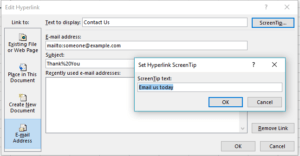 Clicking on the hyperlink will open your default mail client with the recipient and subject populated. You can also edit the hyperlinks by right clicking on it > Edit Hyperlink. This is how the mail hyperlink dialog box looks. 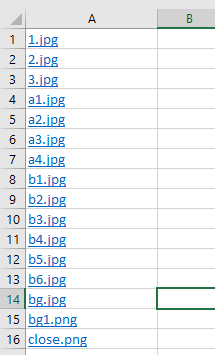 You can also loop through all the hyperlinks in the sheet and get their properties, like, Name, Address, EmailSubject, ScreenTip, TextToDisplay and SubName among others. The following code displays the name of all the hyperlinks one by one and then deletes them. 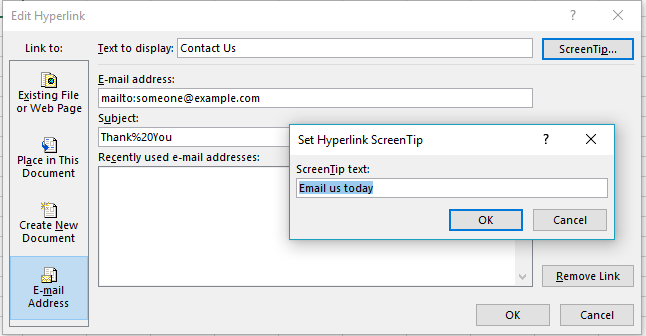 Is there a way to get the screentip tip to mimic the hyperlink text name dynamically?